I am still eager to see the first Enterprise game taking advantage of the use of a mouse. There are a lot of games conceived as point&click adventures, Shoot'em up's or strategies whose gameplay would increase a lot being managed with a mouse. I like to play games, but usually I am trapped on other concerns that amuse me more....That's why I do not know a lot about games. Is for that I've opened this thread, to collect game titles that could be enhanced if adapted to mouse use. I'm not saying that I will do the conversion, I have no level to do it. Only as a wish list of Enterprise games or other waiting to be converted. 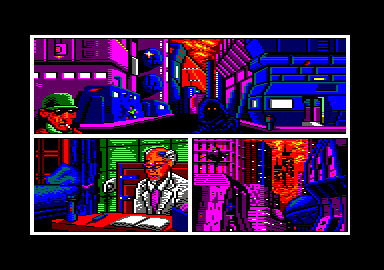 For example, I have heard about CPC versions of point&click adventure games that I have played on Pc, like Blade Runner(inspired on the movie), or Full Throttle. Also Orion Prime with a Spanish version. Just for the sake of accuracy: originaly it is "Made in England" by Technology Research Limited. Then many clone created in Russia, Brazil, Czechoslovakia, Italy. I have found B.A.T. for CPC, a point&click with comic like graphics. Here is another English version. Additional enhancements could include sample sounds and maybe an attribute-mode colorful opponent choosing screen (but the cursor can be a problem, I think) and title screen... Or maybe even use the mode for the opponent's ingame graphics. Also looking at the ingame screenshots it seems that the fix-bias in 16c mode shouldn't be a problem because the playfield seems to use max 8 colors. For the enhanced graphics (and sound?) amiga version could be used. I have played it in the EP128emu CPC emulator with the PC cursors, and really the movement with the pads is very similar to the actual machine. Can you link some informations about the Kempston Mouse? How it is working... for compare with EnterMice. is it possible to use mouse in is-basic programs? I also didn't know of it. Seems that it works differently than EnterMice or MSX-Boxsoft-Neos. The Kempston mouse use other pinout than the Kempston joysticks. Here you can see the schematics of the interface. It returns directly the coordinates reading Z80 ports. 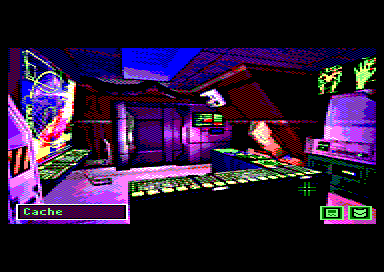 But the drawback is that the resolution is limited to only 255x255, enough for a Spectrum. Are you think about the EnterMice? Yes it is can be used in Basic, see the examples. TR-DOS and Kempston Mouse is popular in Russian because that interfaces is cheap, simple and came to the Post Soviet countries in first of all. Unfortunatly, about Kempston Mouse i can't say anything. I'm not hardware guru. I just love retro computers. I thought that Endi was asking about Spectrum Basic.... Yes, on the EnterMice wiki there are also Basic examples to download if you don't want to type. I've not seen a Kempston mouse system in my life, but if it is the mouse who says where on the screen is the pointer, then it will force total linearity to the movement, without velocity at all. On EnterMice, the driver multiplies by 2 the relative increment if greater than 1, and I think that "modern" PS/2 mice add velocity internally. What is mouse velocity? You are in front of a PC now, isn't it? if you move slowly the mouse the pointer is displaced precisely across the screen, and you need a big table to reach from corner to corner. But if you attempt the same distance with rapid shakes of the mouse you will see that you only need a few centimetres to reach the opposite corner. The faster you move the hand the farther the pointer reaches with lower precision. Of course, that games can be theoretically emulated to use EnterMice without problems if they manage some type of coordinates. But the gameplay will be better than in the original game, I think. I think need to put EnterMice reading to the IRQ routine, and put the screen coordinates to memory variables. And modify the Kempston routines for read memory variable instead the I/O port. If the Kempston reading also in the IRQ routine then possible replace with directly with EnterMice. With 48K programs don't problem with memory, Page 0 are available for the extra routines (it is a ROM in Spectrum). With 128K program can be problem if the program fill the whole 128K, but this situation also problem without mouse, because need a space for LPT. But the most of 128K programs don't use the whole 128K, it is run on 48K, and 1-2 extra segments used for AY music.